The road to becoming a trustee of the prestigious New York-based Guggenheim Foundation began from childhood for Singaporean Cindy Chua-Tay. The art aficionado and collector, who is married to Mr Tay Liam Wee, former group managing director of top luxury watch retailer Sincere Watch, took ballet lessons as a young girl. Her parents, who ran a trading business dealing in paints and carpets, would take her and her older sister to concerts and museums such as the Louvre in Paris on family holidays. Quietly involved in the arts for years as a dancer and then patron - she was one of the pioneering members of the National Dance Company before it became Singapore Dance Theatre - Ms Chua-Tay, 45, made the news in October when the Guggenheim Foundation appointed her to its board of trustees. The non-profit Solomon R. Guggenheim Foundation, founded in 1937, runs several museums worldwide, including the famed Solomon R. Guggenheim Museum in New York. Ms Chua-Tay, who has a home in the city, divides her time amongSingapore, Hong Kong and New York. There are currently 33 members on its board of trustees, of which she is the only Singaporean. The trustees are the main custodians for the foundation and ensure the smooth running of the museums by looking at various aspects such as acquisitions and management. Her appointment "reinforces my strong belief and commitment to the museum that is innovative and open and constantly looking at improving and growing the institution beyond what it already is", she says in a telephone interview from Hong Kong. Since 2013, she has been a member of the Guggenheim International Director's Council, which comprises art collectors from around the world who have a strong affiliation to the museum's mission. 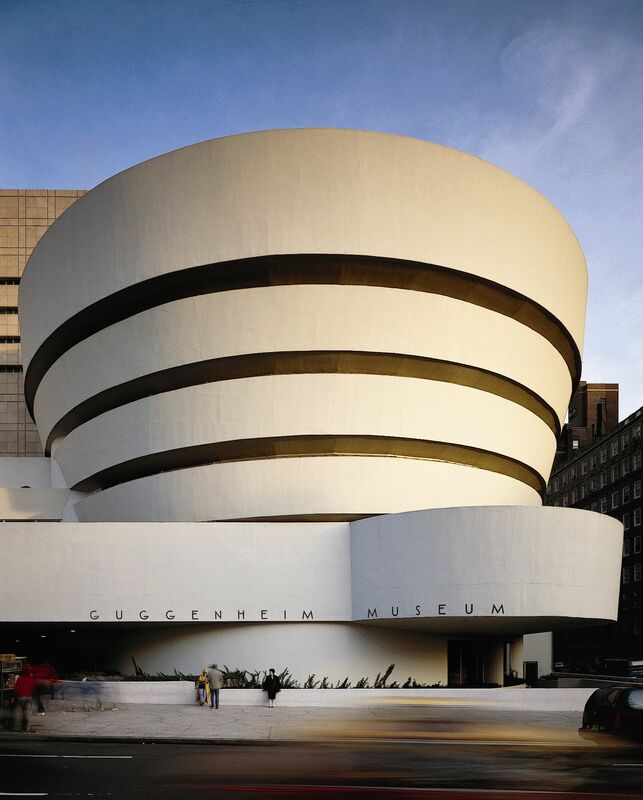 Her involvement with the Guggenheim started with what the chatty Ms Chua-Tay calls "my curiosity, which developed into an appreciation for the works of American architect Frank Lloyd Wright". When she was studying for her mass communications degree at the University of Wisconsin, she visited Scottsdale, Arizona and Taliesin West - one of Wright's famous homes and now the main campus of the Frank Lloyd Wright School of Architecture. She was blown away by his philosophy of organic architecture, which maintained harmony with the environment. It was in this house that the early drafts of the Guggenheim museum were developed. Many years later, at a social dinner in New York, she had "a fortuitous encounter" with Mr Ari Wiseman, deputy director of the Guggenheim Museum, who invited her to observe an International Director's Council meeting. This council gives input to the museum as it acquires and preserves a global collection reflecting the most important artistic achievements of the 20th and 21st centuries. "I was fascinated," she says. "I joined and never looked back." In the press release on her appointment, the Guggenheim Foundation said it will benefit from her experience serving both established and emerging arts institutions and that "she will be especially involved with the Guggenheim's Asian Art Initiative and its forthcoming exhibition projects focused on Asia". While details of those exhibitions are not yet available, Ms Chua-Tay calls the Guggenheim a "truly global museum". What sets it apart, she feels, is that it explores and augments new ideas across cultures through solid exhibitions, educational and curatorial initiatives, publications and now digital platforms. Also a patron of the independent non-profit Singapore-based Platform Projects, which supports contemporary art through commissions and exhibitions, she says the arts to her "embodies somewhat a diverse range of activities". "Ever since I was a child, I have always been intrigued by all things creative. I would collect and catalogue anything I found interesting, informative or visually stunning." She began her career in fashion. As a publicist for lifestyle fashion brands, she enjoyed being surrounded with beautiful, creative objects. Today, she credits her "hugely supportive and encouraging husband" for allowing her to keep her passion for the arts going. "I adore him for patiently visiting museums and art fairs with me. I am very fortunate." She has three stepchildren in their 20s and the couple have been travelling actively, particularly since 2007, when her husband sold Sincere Watch to Hong Kong- based watchmaker and retailer Peace Mark for $530 million. They collect contemporary art and their collection includes a mix of works by established and young aspiring artists. "Some of my favourites in our collection include abstract artist Christopher Wool; Ed Ruscha, who has a strong association with the pop art movement; and German photographer Andreas Gursky. We also have Cindy Sherman and Josephine Meckseper's works. I am also a strong supporter and advocate of women artists," she says. She straddles both the New York and Singapore art worlds and feels the art scene here is "thriving", the opening of the National Gallery Singapore being a testament to that. She has visited the gallery and calls it "an architectural masterpiece, home to an incomparable world-class collection, a focal point for art and a hub for artists". What makes her want to contribute actively to the arts is her belief in its transformative power. "I have seen how a museum is so much more than a building and a collection. It is a living institution, entrusted with a profound responsibility and poised to change society. I believe that to have a successful arts scene, we need to be mindful of this."